Sarvanan’s leap of faith makes his dream come true! Pradeep is a 19 year old with a hearing impairment. He completed his SSLC this year. Srinivasan is a 19 year old with a hearing impairment from Pondhav akkam village, Tiruvallur Dt. elvam is a 20 year old young man with a hearing impairment from Mandaveli, Chennai. Selvam completed SSLC in 2014. Dorothy is a hearing impaired, 21 year old who successfully completed her HSC in 2016. Parthiban sadly lost his mother when he was young, leaving only his father and grandmother to look after both him and his younger sister. Jefrina sadly lost her father during her school years leaving her mother, a private school teacher, to not only have a career but also..
Devi sadly lost her father whilst she was still in education and her mother kept working whilst looking after Devi and her brother. A while ago, if someone had dared saying we were not going to win the battle we have started with our Evening School, we would have probably turned our backs and moved forward, which, in fact, we did. We fought the poverty, the illiteracy, the corruption, and natural disasters; even during those many times we had no support. Looking back, we realize that our efforts were not in vain, that we are a part of the success story: an Evening School success. Saravanan is perhaps our great achievement. Like all the other children, when he first came to the Evening School, he lacked resources, starting with education, money, etc. Nonetheless, through an assiduous effort, Saravanan is now likely to become the first Engineer from the village. L. Siva Saravanan, at 16 years, has had great performance in school and is now going to pursue his studies in the University College of Engineering, Nagarcoil. Saravanan is a fighter. He presents us with a belief in ones own capabilities. Fighting all odds not only has he secured himself a seat in the reputed engineering college but has also managed to bag a scholarship to cover his entire education expense. All of us at HELP Trust are very proud of him and wish him a successful journey ahead! During his childhood, Pradeep lost his father and his mother had to take care of two boys as well as holding down her own job to support the family. Pradeep also has one younger brother who also has a hearing impairment. Pradeep felt a strong duty of care to try and alleviate his mother’s burden and wanted to find employment. Pradeep and his mother approached the HELP Trust for advice and instantly they were able to offer him a place on the ITES/Retail course. Full of enthusiasm and an interest in computers, he grasped the content quickly and with ease. 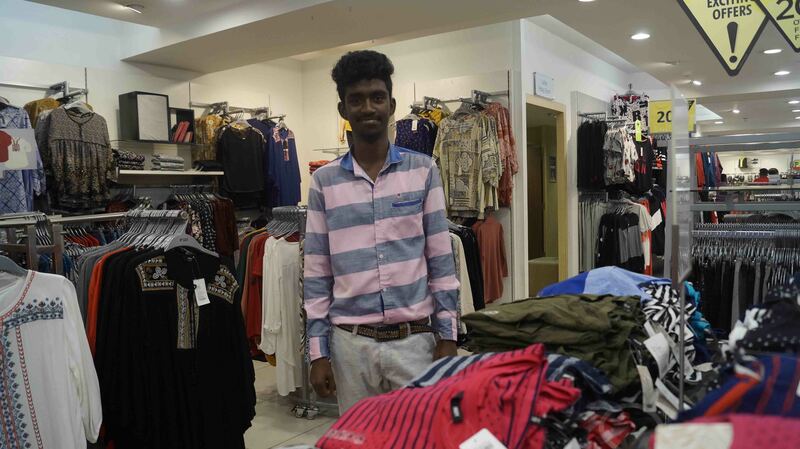 Pradeep was successful in his application and was selected as a trainee at Max Fashions where is now very happy going to work everyday. Pradeep’s mother is not only proud of her son for achieving what he has but is also entirely thankful to the HELP Trust for providing this wonderful opportunity. Sadly, Srinivasan lost his father when he was in primary school. His mother works as a daily wage labourer and takes care of both Srinivasan and his grandmother, which can be difficult at times. After finishing his schooling and completing his SSLC, Srinivasan tried to find a job, but he didn’t appear to have the right skill set. He was an old alumni of CSI Deaf School, through which he came to know about HELP trust. He enrolled onto the 45 day ITES/Retail course to obtain the correct skills for the job he was to apply for. Srinivasan was a calm and composed individual in class and was willing to learn new things, which is a great quality to possess. Moreover he was ready to go for any kind of job! 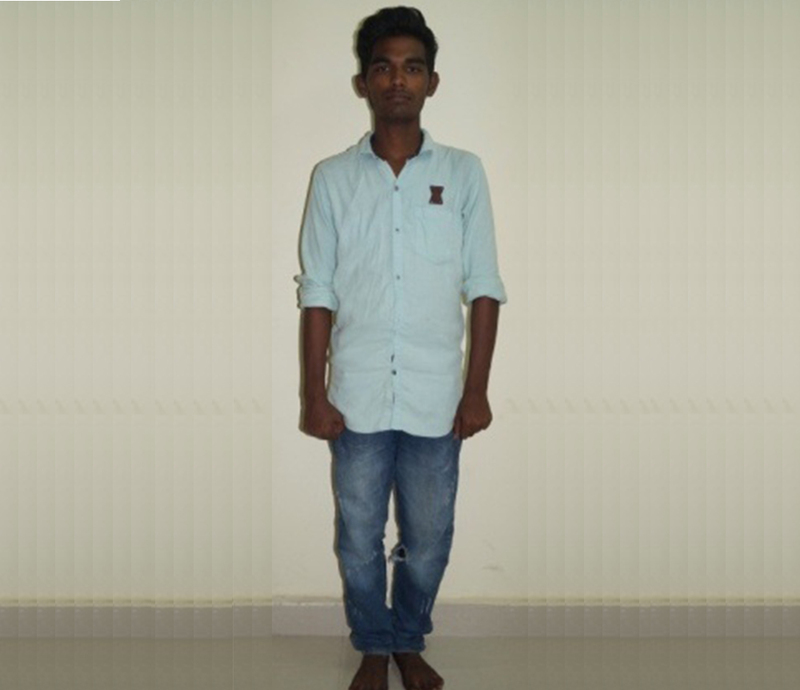 Selvam is a 20 year old young man with a hearing impairment from Mandaveli, Chennai. Selvam completed SSLC in 2014. His father is a private employee and his mother, a home maker. Selvam has one elder brother who works for a private organization and one younger brother who is still attending school. Selvam is the only differently abled child in his family. He wasn’t interested in pursuing his higher education and wanted to find employment instead. Three months back he walked into HELP Trust for job. The Trust talked Salvem through the process, and he then immediately joined the ITES/Retail course. He successfully completed his 45 days training course and during that time he was a regular attendee to the class and didn’t take very much time off. After completing his training, Salvem attended an interview with Big Bazar and was selected as a Team Member. Salvem is happy that he can now provide for himself and is earning his own salary. Dorothy is an orphan, who was brought up in the Word Made Flesh Community in Kolathur, Chennai. For interest, Word Made Flesh is made up of communities of people called and committed to serving Jesus among people who find themselves in some of the most vulnerable, poverty-stricken and oppressive situations in the world. Dorothy completed her schoolings at the CSI School for the Deaf, Santhome, who are also our supporting partner. Dorothy enrolled onto the 45 day vocational training course and during that period, she was a regular participant to the class, always making herself busy and engaging with the material. This enthusiasm helped her to understand things faster and grow in confidence in her abilities. 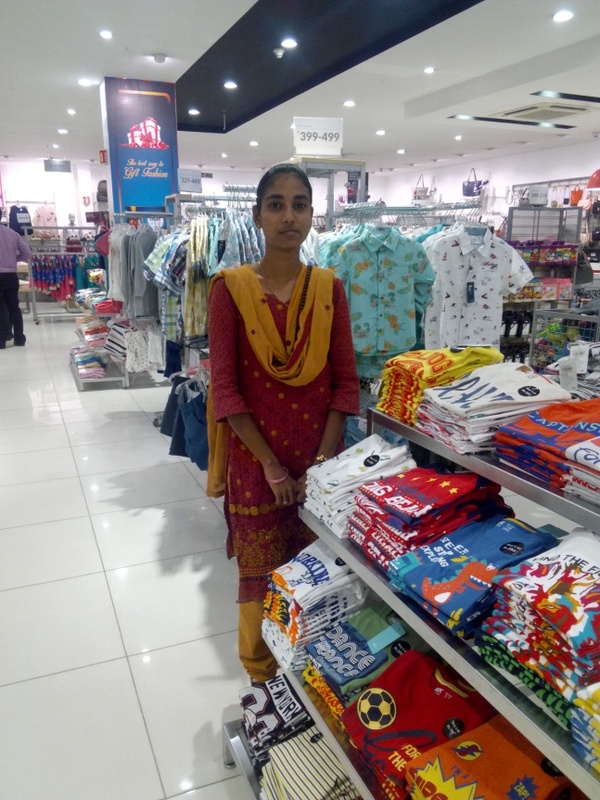 After successful completion of the training period, Dorothy was awarded a job opportunity with Hosonna Sports where she now works as a Sales Associate. Dorothy is very happy and is able to live an independent life of her own. This opportunity has given Dorothy the drive and spark to go on and achieve even more in life. Parthiban is a 19 year old, hearing impaired student from Washermenpet, Chennai. Parthiban sadly lost his mother when he was young, leaving only his father and grandmother to look after both him and his younger sister. Because of this sad event and his sister attending school, Parthiban was unable to complete his secondary education. With assistance from the HELP Trust, Parthiban enrolled with our Vocational Training Centre where he attended regularly and was engaged and attentive in his studies despite initially being a little introverted and not wanting to mingle with others. Parthiban has gone from strength to strength, not only improving his computing skills in typing and MS Office but his handwriting and presentation skills are excellent as well as demonstrating the ability to work well with others. 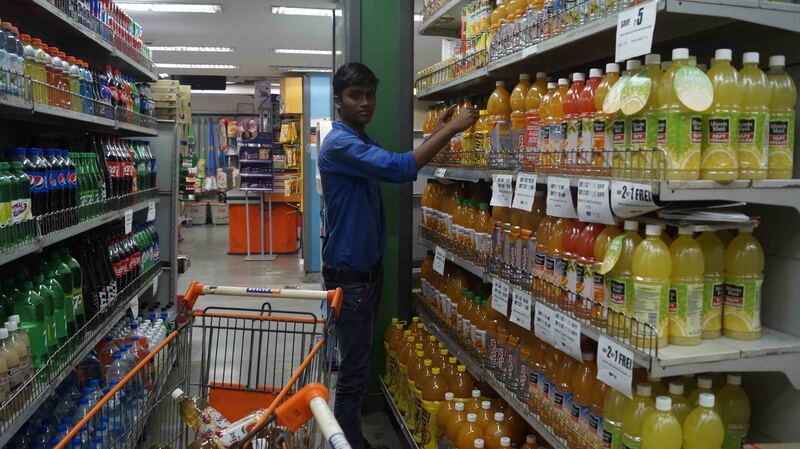 His confidence and self-esteem grew throughout his training which gave him the skills to attend a job interview with D-Mart where he was successfully offered employment. 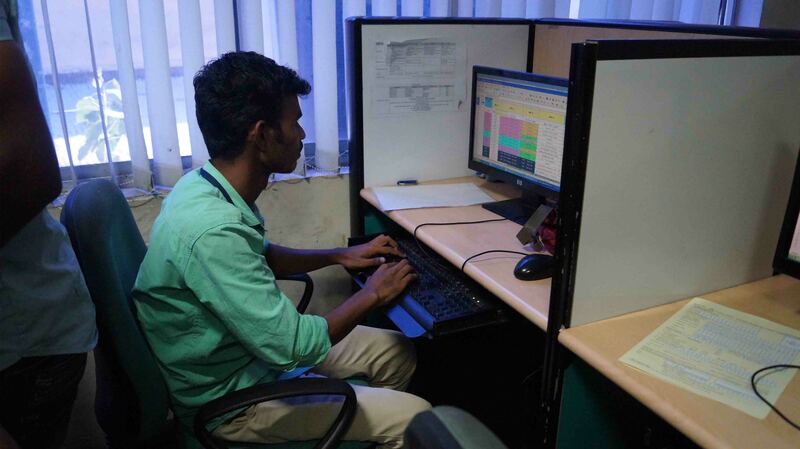 This has given Parthiban a purpose in life and he is enjoying the working environment and the social interaction it provides with his colleagues. His manager speaks highly of him and praises him for being a highly valued member of the team. Parthiban has not only proved that he has overcome the difficult loss of his mother but he has shown strength, maturity and resilience beyond his years. He has chosen to overcome adversity and is now happily and successfully living independently with a view to completing his HSC studies in the near future. Jefrina sadly lost her father during her school years leaving her mother, a private school teacher, to not only have a career but also to look after the family on her own. Jefrina also has a younger brother who is studying at college. After her graduation Jefrina immediately joined the Vocational Training Course provided by the HELP Trust. Jefrina had been taught in Tamil throughout her education so she she had a real desire to learn english. Such was her eagerness to learn, Jefrina used to carry around an English work book with her and surfed the internet for reading inspiration. Jefrina is a conciencious, hard working and punctual individual which paid dividends when she applied for her first job with Max Fashion. Now, earning a good salary, Jefrina has blossomed into a confident young woman who is able to be independent and wants to help to reduce her mother’s burden and help with the family. Devi is a 23 year old, physically impaired B.Com graduate from Periya Obulapuram Village, Gummidipoondi Taluk. Devi sadly lost her father whilst she was still in education and her mother kept working whilst looking after Devi and her brother. Devi’s brother earned his Diploma and is currently in employment with Toll Plaza. 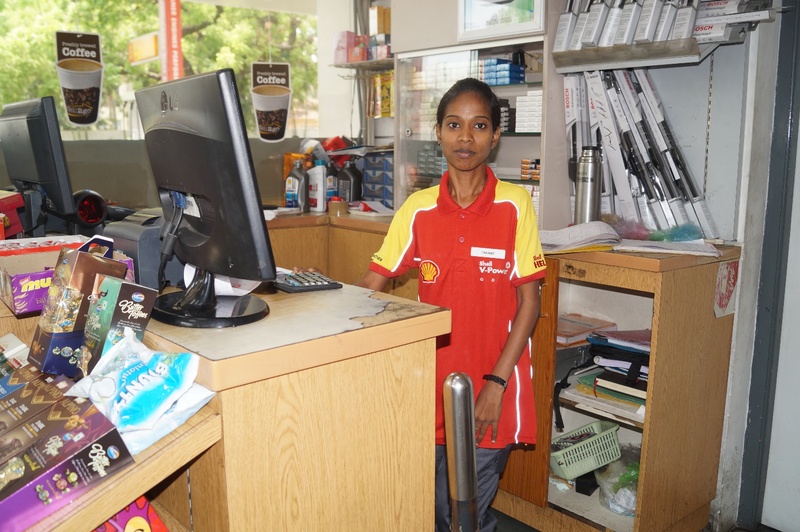 Devi was keen to secure a job of her own but because of her disability, finding work in her home town was difficult. She attended a Need Assessment camp local to her and it was there that she heard about the Vocational Training Programme conducted by HELP Trust. Devi immediately enrolled onto the IT essential skills (ITES) and Retail course and further developed her, already competent, computer skills. A bright, enthusiastic and active individual were already in her favour when applying and successfully securing her first role as an accountant with Shell. Devi is a valued member of the team and contributes not only to the success of the company but also to supporting her family. She has new found independence and growing in self esteem.